Here is what you need to know about pets at FAU. When my daughter first started at FAU, she often called or texted daily asking for pictures of our family dog Lucy. I think she missed the dog more than me! Over the years we have outfitted Lucy with all the FAU gear available for dogs. And often I found the more times I sent pictures of our family dog, the fewer texts I would get saying “But mom I found the cutest dog who needs to be rescued” Don’t get me wrong, I love animals, especially dogs. But I am not a huge fan of students having a pet at college. I understand that the unconditional love of a sweet puppy or kitten can be wonderful around stressful times like midterms or finals. (FAU often brings therapy dogs to campus during these times for just this reason.) I am, however, very aware of the work that goes into training a pet and the expenses that come along with their lovability. Nevertheless, students occasionally develop amnesia for these sort of realities and get drawn in by floppy ears and wagging tails. This, of course, does not include students who have service animals. There are not too many allowed into dorms; however, they do try to accommodate qualified students. For the guidelines for requesting an Emotional Support Animal accommodation on campus, click here. but for those who live off-campus, there are apartments that allow for pets. The Disability Act allows for ESA animals (Emotional Support Animals) and service animals to live with you for free; otherwise, it is considered discrimination against people with disabilities. To bring a service animal on campus, a student has to go through a specific process. Click here for that information. However, should your student decide to adopt a pet while at college, they should check the rules for where they are living or intend to live. When searching for an apartment, it is easy enough to find out which are pet- friendly without having to make too many phone calls. Some apartment complexes have separate leases for pets (Which can often be an extra charge a month or high fee at the beginning of the lease) Remind your student of the furniture issue…. many places come furnished, which is my personal recommendation as it saves a lot of time and energy trying to buy or rent then move it in and later move it out. 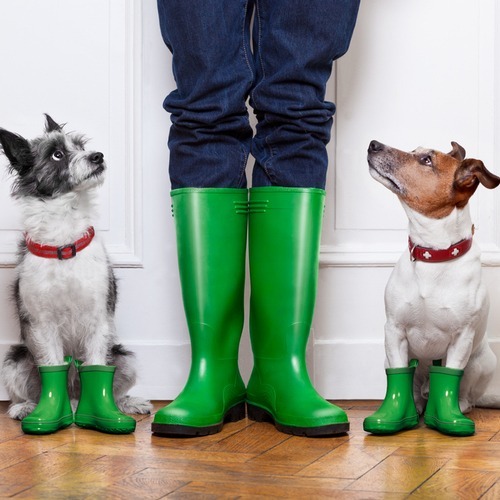 Make sure your student inspects everything upon moving in and takes pictures of any damage so their new four-legged friends cannot be blamed for it and consequently, not fined for it. It happens. If your student lives in the dorms, the only allowed pets are fish. The fish must be housed in a 10 gallon or less tank. If students are found to have other pets they can face fines or even be removed from housing. If you do end up with grand-puppies, you may want to add some Owl gear to the holiday shopping list. There are all kinds of fun leashes, collars, and toys for our newest, furry fans. If you’re lucky, you too may get some zany videos/pics like the ones I send them of our dog in return.